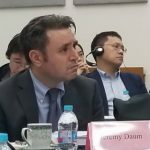 Jeremy Daum (唐哲) is Alex Daum’s dad, Elizabeth Jenkins’ Partner, China Law Translate’s contributing founder, and a Senior Research Fellow at Yale Law School’s Paul Tsai China Center. He translates, writes, edits, does web-design, graphic design, billing, tech support, and social media outreach for China Law Translate. 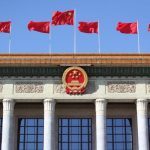 Changhao Wei (魏常昊) is a longtime contributor to China Law Translate and the creator of NPC Observer a blog dedicated to English-language coverage and analysis of China’s National People’s Congress. He somehow manages to continue his work on both websites while pursuing his J.D. at Harvard Law School. IF YOU WOULD LIKE TO JOIN OUR TEAM, CLICK HERE TO LEARN HOW TO PARTICIPATE! The estimated value for a full translation of this post is $38.22 USD at the below-market rate of $.06 per character, with -13 characters.